KN Construction specialise in residential building, whether that be; renovations, extensions, alterations, bathroom and kitchen renovations or new home builds. 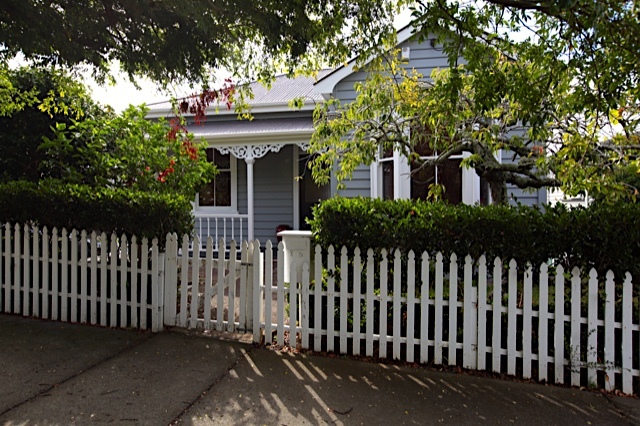 We are based in Central Auckland and work in the wider Auckland region. A lot of our work is by recommendation and word of mouth and we have completed many successful projects. If you are looking for a totally reliable, qualified and co-operative builder who would release you from headaches, worries and anxiety, which are often associated with building projects, we strongly suggest that you approach Karl and Kaycee of KN Construction Ltd. We have no reservation in recommending KN Construction because we have had a very pleasant experience that we would like to share. We are so impressed by their extensive professional knowledge, outstanding work performance and outcomes, amazing capability in project management as well as their commitment to upholding high standards. 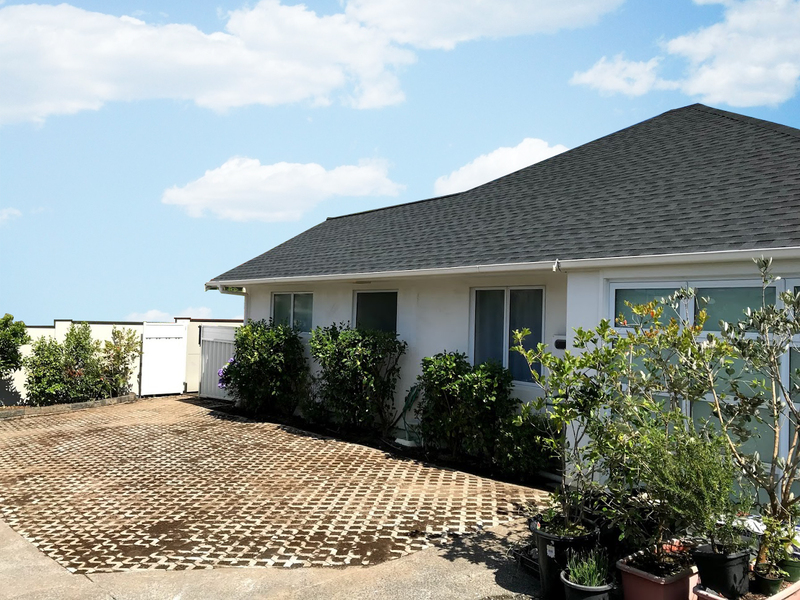 KN Construction completed a bathroom and roof renovation project and new grass-paved lawn project for us with extremely high quality and very very efficiently, even ahead of the schedule! Karl, Kaycee and their team are great communicators, who are always ready to share ideas and information. They respond to enquiries promptly; their use of the co-construct software has also greatly facilitated exchange of information and ideas, making the building processes transparent. We are also grateful to Kaycee who is not only a top-grade administrator but also a designer who has great taste. She has given us valuable advice regarding choices and options. 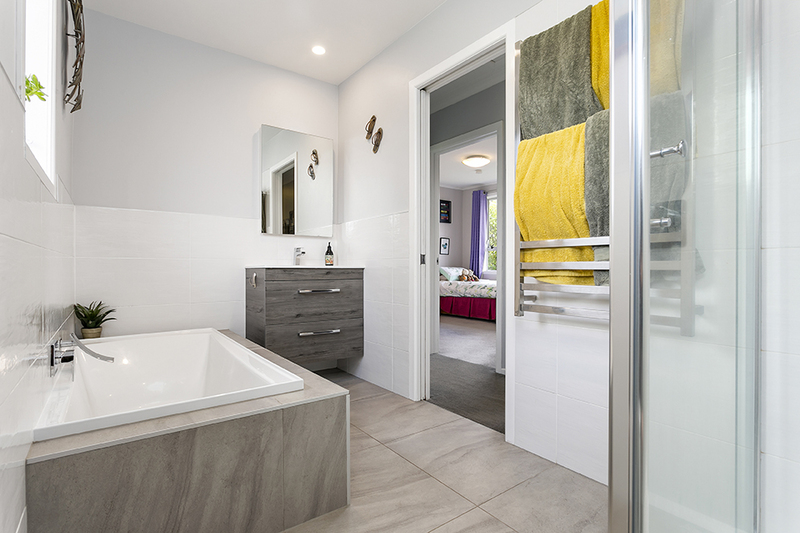 When we first looked for a reliable builder to renovate our bathroom and roof, we went onto the No Cowboy website and saw the very high rating of KN Construction. We approached Karl and got his response promptly. We were lucky to have found him because he understood our needs immediately and was able to give us his professional advice on the spot. Because of the successful experience gained in the renovation project, (and we shared some good laughs as well), we decided to ask Karl to take on a new project, i.e. using grass-pavers to re-do the lawn. Sure enough, Karl, Kaycee and the team delivered us a neat and tidy paved space before Christmas; and in about a month’s time, we have a lawn with green grass and pavers! We have no doubt that we will approach Karl again for our next few projects which we have already formulated in mind. Perhaps you should too! We chose to work with KN construction because of a recommendation from our neighbours. They came highly recommended and we were on the look out for new builders as a result of a bad experience with our previous ones. We could see their professionalism, punctuality and high work standard and knew they were the type of builders that we wanted on our job! We liked the fact that all the guys on the job were really approachable and friendly. If there was ever a problem or query you knew that the issue would be sorted straight away. They were always helpful and offered their own advice when you needed a helping hand. The building work was of a very high standard and you knew that no corners were ever cut in getting the right person for the job. 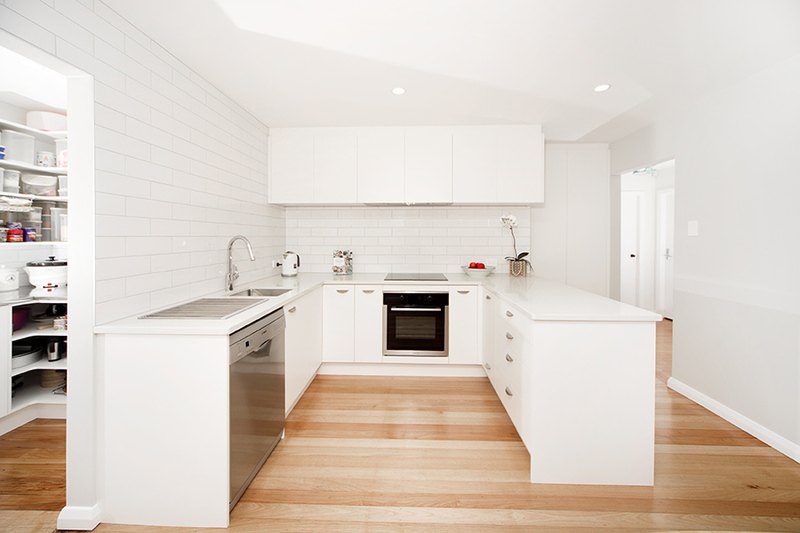 This high standard of workmanship was evident in all areas of our house renovation. No we did not expect our renovation to go as well as it did. We were very untrusting of builders because of a previous experience. Karl really saved the day for us and took on board our concerns and nothing was ever too much trouble. He came over and solved a problem for us before he had even started work on our job. We found the whole experience with KN construction relatively stress free and easy. We would definitely use KN construction for any building work in the future. The three biggest benefits of working with KN construction - The high standard of workmanship - The professionalism and approachability of the builders - The speed of work and the communication with home owners and sub contractors. We approached Karl to do our kitchen renovation. We had a large closed off space that we wanted to open up and needed someone certified to complete the job. 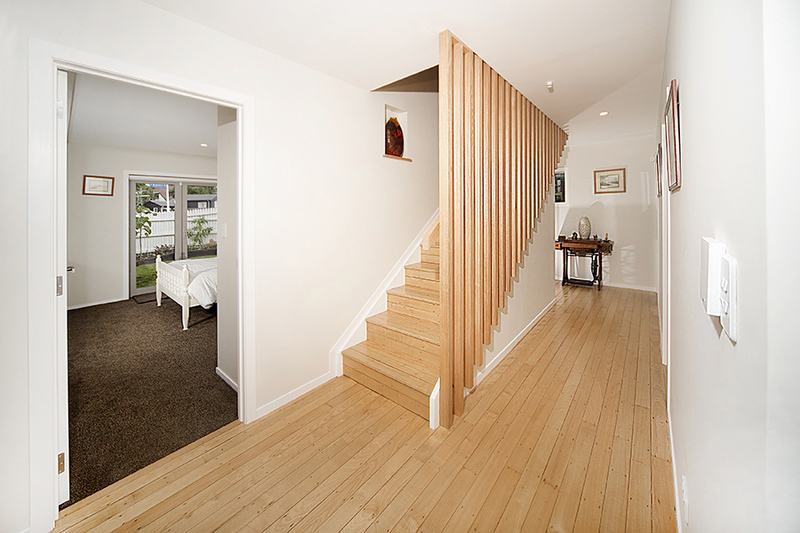 It involved engineered reinforced beams and laying new timber floors to match the rest of the house. From our first meeting Karl showed great honesty and integrity, offering ideas and alternative solutions that saved us time and money. 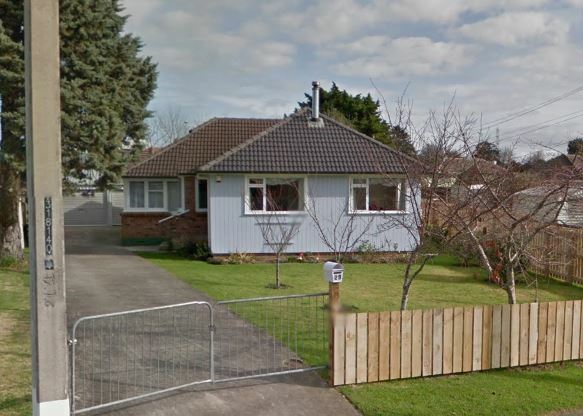 We always found Karl easy to communicate with and he was happy to take on additional work, such as sourcing and fixing new skirting and project managing a new driveway. Karl and his team were friendly, professional and worked really well with other tradesmen in the house. We wouldn't hesitate to recommend him for any building work and will certainly continue to use him in the future. We were adding an ensuite and wardrobe to our place and had a few builders come in and take a look, we were not quite 100% happy with them. We saw a KN Construction sign at a site down the road and gave them a call. Karl came through with a price and a time when they could start. We were impressed with their ability to manage the whole process and make it simple. Looking after all the trades it made the whole build easy for us, and all being managed through the co-construct site allowed us to keep up to date with everything. They offered some great ideas and solutions which made our project that much better. We were very happy with the level of service and quality of build. While there we also had them take a look at a few other little jobs which were carried out. The rooms were kept very tidy every day after they had finished. Karl and the team allowed us to be involved as much as we wanted which we enjoyed. I would highly recommend KN Construction and the teams that they work with. They were open and honest don’t cut corners. We have had nothing but rave reviews from everyone we have shown the additions to. We heard about Karl (KN Construction) from a friend and we got him in to do our kitchen renovation building work and other renovations in the house. The service provided throughout the whole job from start to finish was highly professional and outstanding. We now have a rebuilt kitchen and butlers pantry and a new hall linen cupboard that all my friends are envious of! We gutted 2 rooms which were rebuilt and the redid ceilings as well in preparation for the cabinetry to go in. They took all the stress of managing a building project and delivered a fantastic result. If there was extra work or subcontractors to organise then it was done. I would recommend their services 100%. Karl was the site foreman for our home extension. Our brick-and-tile house was extended from 90 sq m to 121 sq m. Work included extensive demolition, reconfiguration of existing walls/doors, addition of new rooms, and a complete bathroom renovation. Karl did a great job as foreman, professionally directing work for his employees as well as all the subcontractor tradesmen. He also worked diligently to ensure all material deliveries were sorted out to avoid delays. If there was a delay or problem, Karl quickly resolved the issues and kept the work going despite a few hiccups that were outside his control (Placemakers supply chain issues). Karl is very competent both in a supervisory role and as a builder. We were very impressed by the following qualities: Professionalism – Karl always came to site promptly and worked steadily the whole day. Communication – Karl has a very friendly manner and was easy to talk to and discuss the current stage of the build. We always felt like we could ask him anything and he could explain it in layman's terms so we could understand. Quality – Karl's workmanship was impeccable. We always knew that he was doing the work properly and not cutting corners. He was fully competent in a huge range of building tasks. We would definitely recommend Karl for future home renovation projects. He is personable, professional, and highly skilled. He will get the job done without fuss, properly, and to a high standard. We are really enjoying our renovated home, but if we should ever need to renovate again, we would not hesitate to use Karl's services again. 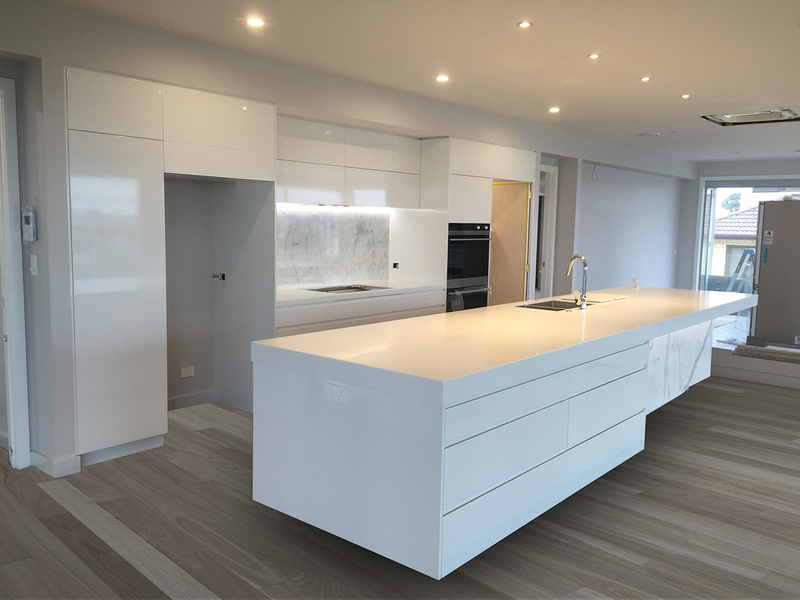 We were going to be undertaking an extensive renovation and extension of our property and wanted a company that was big enough to get the job done promptly. They needed to be professional, approachable and transparent. We wanted someone who could take our plans and inspirations and deliver us with a beautiful home with a superior finish. The most important factors for us in choosing a building company was honesty and delivering what had been agreed. There were definitely some stressful moments throughout the reno, but the communication from Karl and his experienced builders helped keep things moving along and the communication pathways open. Building or renovating a home is highly stressful and emotional. Karl and Kaycee had recently renovated their home so understood all the ups and downs of the journey. We are 100% satisfied with our home and wouldn’t change a thing. We would highly recommend KN Construction for any building needs.